Acana is made by Champion Petfoods, an award-winning, independent pet food maker in business for more than 25 years. The food is manufactured in Alberta, Canada with fresh ingredients, no added water and no preservatives. The Champion Petfoods company also makes Orijen. 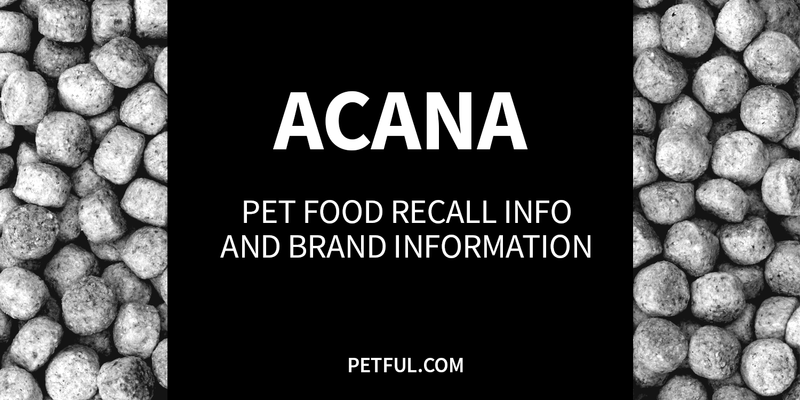 Has Acana Ever Been Recalled? No. This brand has not been recalled, according to our research. In March 2018, a class-action lawsuit was filed against Champion Petfoods, accusing the company of “negligent, reckless” practices, false advertising, and “failing to disclose the presence of heavy metals and toxins” in its Orijen and Acana dog foods. In response, the company called the allegations “meritless and based on misinterpretation of the data.” More about the Orijen/Acana lawsuit here. Have You Had a Problem With Acana?